Yesterday we talked about becoming a Subject Matter Expert – today it’s content. There are two things you need to be ready to create content for… one is your business, the other is for yourself. Here’s what I recommend. Create the blog for your business outside the relm of the business website. If you check my site at BigFishIdeas.com you’ll see the feed for this blog. The reason I chose to organize it in this fashion is part of an “exit plan”. It might seem crazy to plan an exit at the beginning of your blog creation – but hear me out. When you sell your business… what happens to the website? Typically it sells with the business. The website, domain, and traffic. Now, let’s look at a pretend, real world example. Let’s say you own a dance studio. You have taken the time to write a blog. You talk about dance recitals, buying costumes, planning trips to competitions, planning your year, working with mothers, and more and more. You write every week! It’s very popular. You create great traffic. Then you sell the dance studio. You’re tired of working with mom’s (and all that implies) haha. BUT, you’re not done with dancing. You want to be a consultant… You have 300 wins at competitions. You’ve taught and choreographed for 18 years. The blog is 5 years old and full of awesome information. Well… if you create it as “dance studio blog” it’s an asset of the dance studio! However, if you position yourself as a subject matter expert and all the content of the blog is under YOUR NAME. You use an RSS feed and share the information with the dance studio site… you own the blog and you can take it with you! Be very careful, content is extremely valuable. It might not seem so right now… as you are starting this adventure. It may seem like a chore… but some day, you’ll have a great treasure of information and you want to make sure YOU own it. Content is the “stuff between your ears”. You Own That! We’ve moved to an information society, make sure to protect your information. That means… take time to figure out HOW you will create your set up for your content. 1- Decide right now… if the blog part of your business website or is the blog part of your Subject Matter Expert site. This is a critical decision. 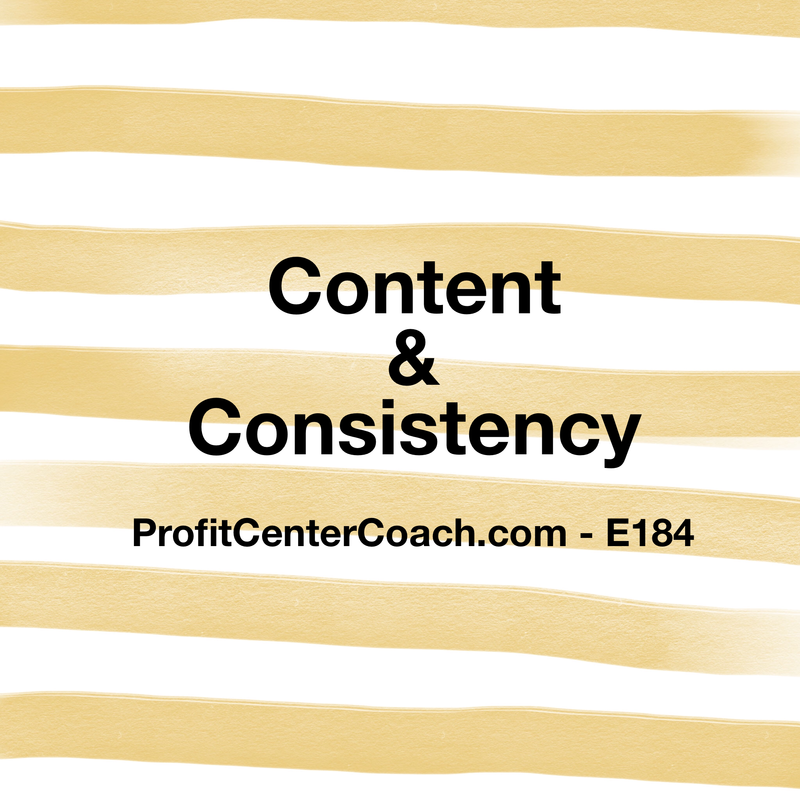 Content is an asset! Episode #185 – Success Starts By… Well, Starting!